Besides impinging upon sales and spreading germs to employees and customers, dusty pages in bookstores and grimy products lining shelves of retail outlets could go unclean for a few weeks or a month without too much recourse. But when it comes to realms like the pharmaceutical industry, which have the potential to have a significant impact on public health, every last measure must be taken to ensure that every inch of sensitive facilities is sterile. Moreover, these services should always be entrusted to a professionally trained pharmaceutical cleaning operation. The affairs and activities within pharma and biotech operations have the ability to affect many lives. If your pharmaceutical facility is not up to par on stringent standards, you could be facing costly shutdowns. The FDA has an extensive list of cleanliness requirements for facilities as a subset of its CGMP requirements and failing to meet those standards is deadly not only for your business – it’s deadly for patients in great need of medications. Disease and contamination can only be mitigated by sterile facilities, and the FDA spares no expense at cracking down on facilities with sub-par sterilization operations. There should be no surface left un-sponged in a pharma facility. Pharmaceutical and biotech facilities require daily sanitation of all sinks and countertops and important safety equipment such as eyewash stations and emergency showers can amass bacteria if not cleaned regularly, and although these are not utilized often, they need to be tackled with proper protocol. Sensitive lab areas need a strict sanitation process to keep products safe from cross-contamination, and any floors, carpets, mirrors, and electronics cannot be missed. Floors should be regularly scrubbed and polished, and carpets require high-suction HEPA vacuuming. Also necessary to tackle in pharmaceutical facilities are restrooms, offices, break rooms, and any additional non-sterile areas to curb any possibilities of bacteria transferring from zone to zone. Each pharmaceutical facility has its own unique layout, needs, and operational practices. 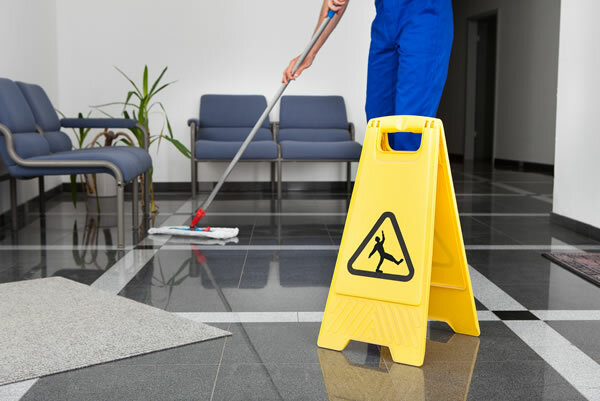 Janitorial cleaning companies that your business works with should give you a personalized plan, from free on-site consultations to customized cleaning solutions. Emergency procedures should always be reviewed, and all cleaning technicians within a cleaning company should be thoroughly trained in the specialized area of pharmaceutical cleaning. Cleaning crews should be fully equipped with caps, gowns, and eye protection, and your cleaning company should be fully bonded and insured for the protection of your business. Complete Care Maintenance has more than 55 years in the commercial cleaning industry. If you’re in need of pharmaceutical cleaning and janitorial services New Jersey, contact us for a free analysis.